Real Madrid boss Zinedine Zidane has reportedly ruled out a return to the club for James Rodriguez. Zidane forced the club to offload the attacking midfielder for a cut-price fee. 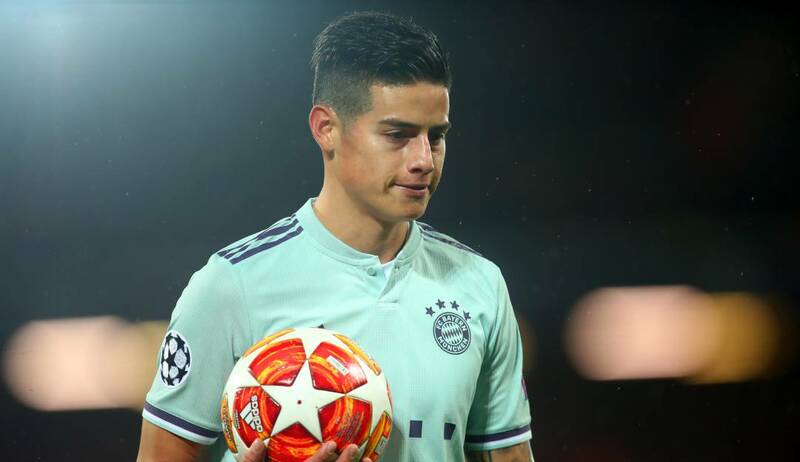 The Colombian’s two-year loan deal with Bayern Munich expires in the summer and there is no agreement in place with the German giants to make that permanent. According to reports in the Spanish press, the 27-year-old will be sold to the highest bidder this summer, tough Real do not expect to raise much more than £50m for his signature. Arsenal, Liverpool, Manchester United, Juventus and Napoli were all contenders to sign James Rodriguez.